IT Service Desk software or IT Service Management software (ITSM) allows to effectively manage enterprise IT resources and provide the needed level of service according to the best ITIL practices. 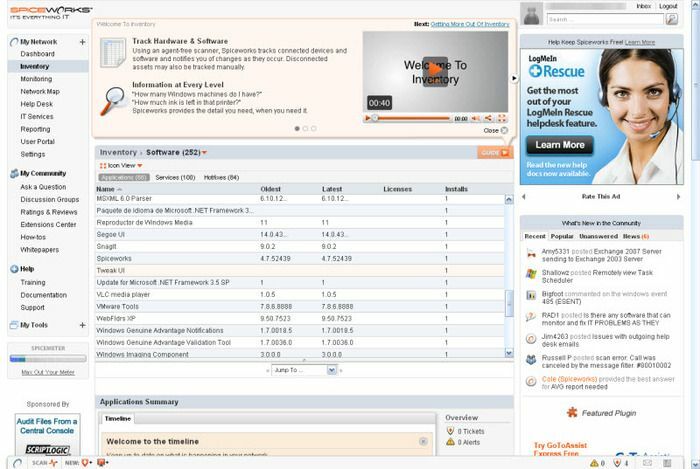 Spiceworks bundles network monitoring, helpdesk, UPS power management, PC inventory tools, an online community, and much more. All in one spot. All for free. 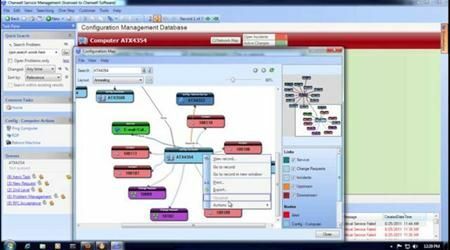 OTRS is a free and open-source trouble ticket system software package that a company, organization, or other entity can use to assign tickets to incoming queries and track further communications about them. Like alternative solutions it is a means of managing incoming inquiries, complaints, support requests, defect reports, and other communications. SysAid is an IT service management and help desk software that integrates all the essential IT tools into one Service Desk. 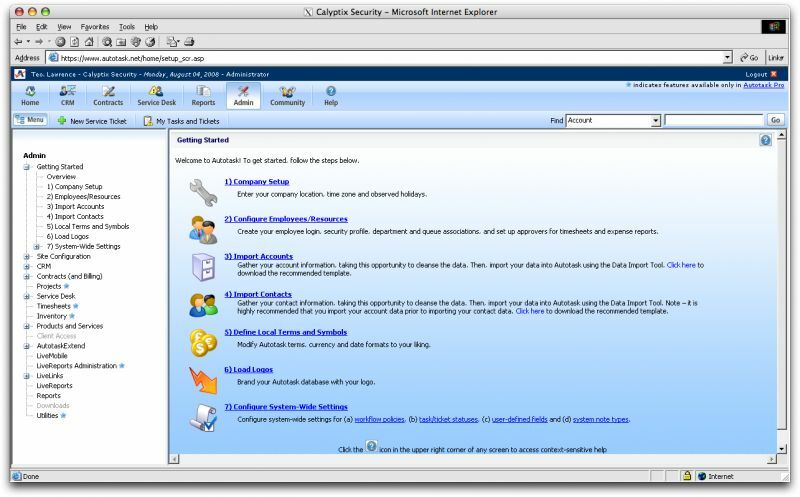 Its rich set of features include a powerful Help Desk, Asset Management, and other easy-to-use tools for analyzing and optimizing help desk performance. Remedy IT Service Management Suite handles your IT services and capabilities like never before. Built on more than 20 years of leadership and experience, this enterprise-class solution is ideal for advanced technology environments and will extend your value into IT operations management. Access IT services and information—anytime, anywhere—through intuitive, easy-to-use self-service capabilities via social media and mobile applications. 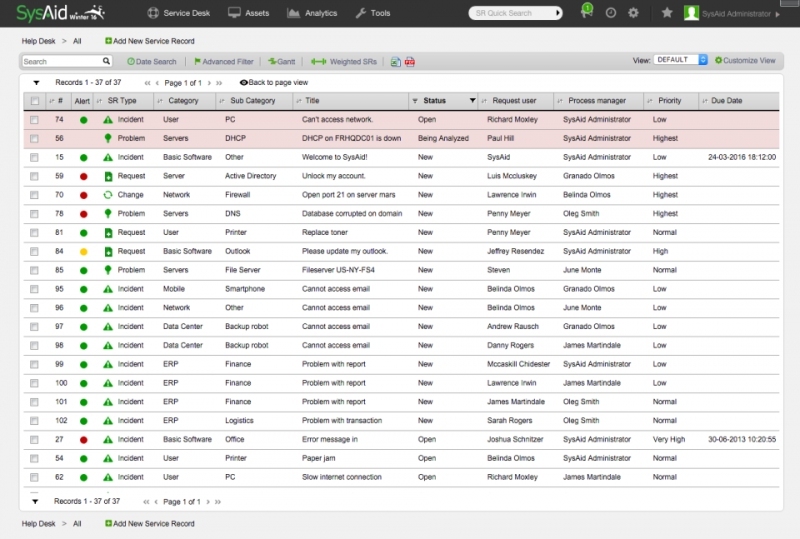 Offer deeper, richer service-desk capabilities. 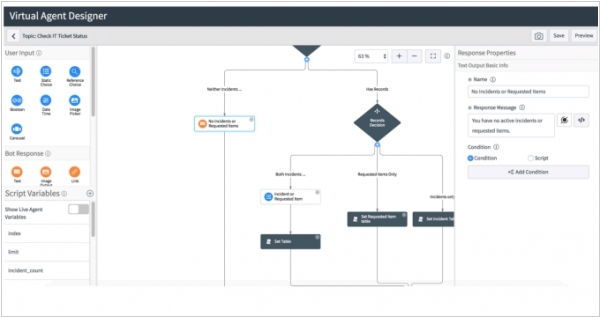 Autotask includes everything you need to organize, automate and optimize your IT business from a single, cloud-based platform that’s accessible from anywhere – so you spend less time managing your business and more time growing it. 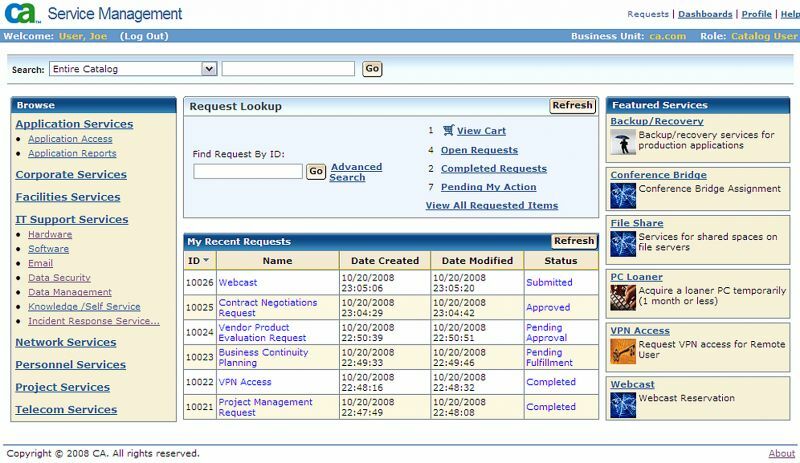 Cherwell Service Management delivers a customer-friendly IT self-service portal, powerful dashboards and reporting, and superior mobility to your organization—as well as providing PinkVERIFY certified ITIL processes such as: Incident Management, Change Management, Problem Management, CMDB, and much more. Deliver ease of use, flexibility, and power to your service desk customers today—at a price your organization can afford—without compromising future ITSM system scalability, expansion, and power. 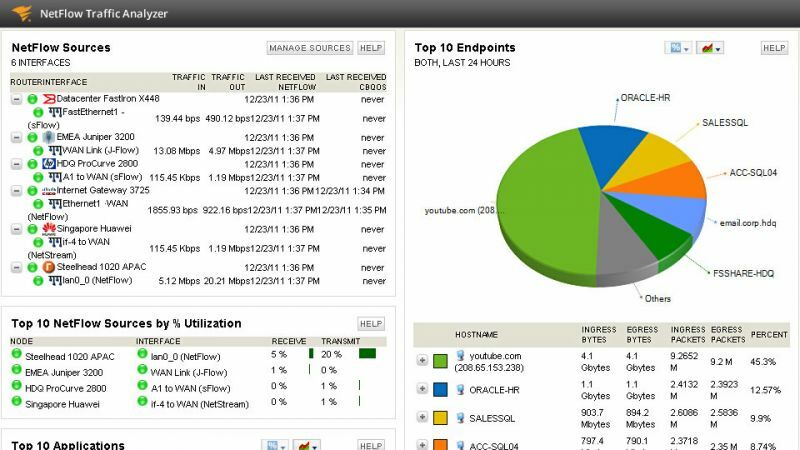 Monitor & manage your network with unified visibility into fault, performance, availability, traffic, & configurations. Get instant visibility across all system resources that can impact application performance and fix them fast. 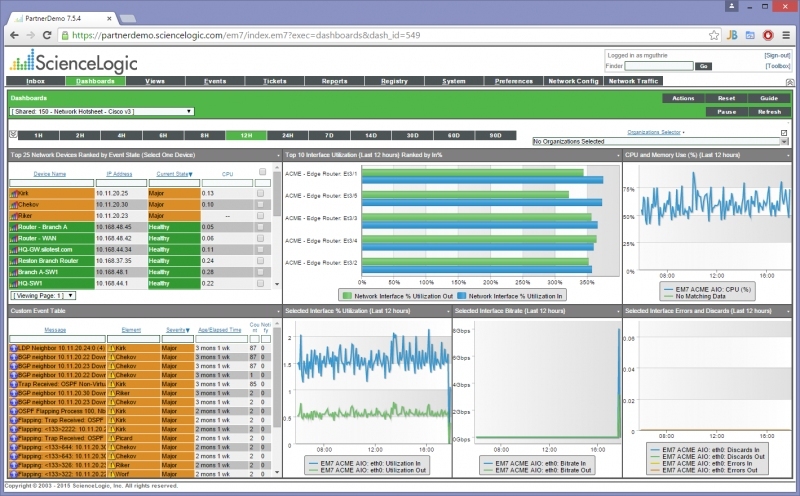 Find, analyze & resolve your toughest performance issues on SQL Server, Oracle, Sybase, and DB2. Automate 24x7 security monitoring and response to stop threats in their tracks and maintain continuous compliance. 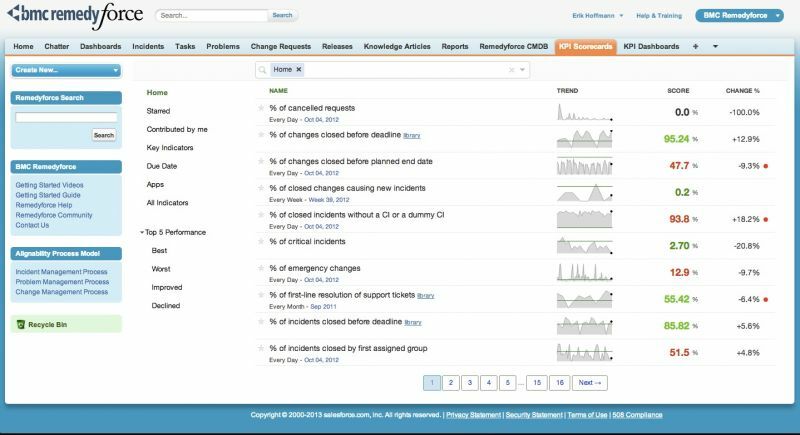 Samanage is a cloud-based IT service desk and asset management platform that reduces your workload and helps you deliver fast, quality service. Reduce workload & prioritize service delivery time. 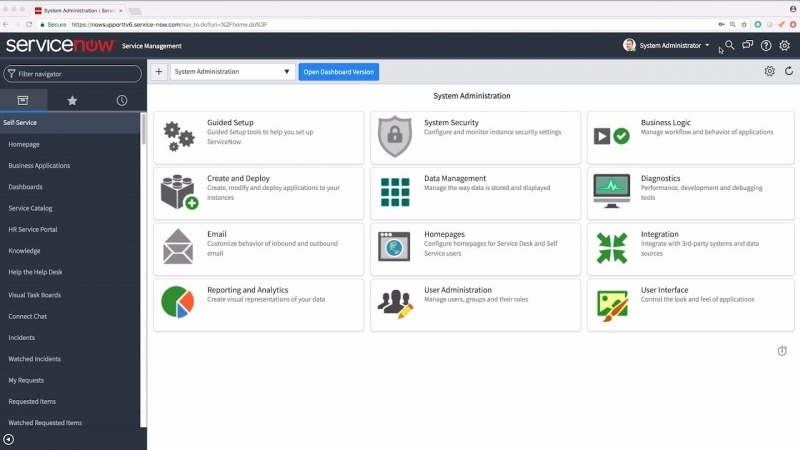 Get full visibility & control of all hardware and software. BMC Remedyforce is built on Salesforce1 cloud platform to deliver complete IT service management functionality with the secure social, mobile, and collaborative capabilities users expect. 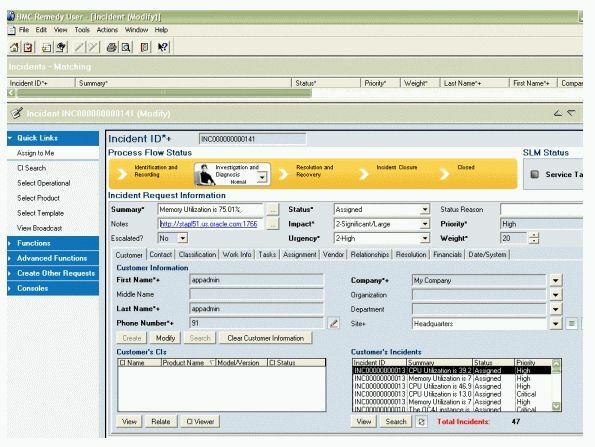 Intuitive administration and configuration keeps you focused on delivering business value. Personalized self-service gives users new access to service offerings. Automation and integration reduce manual labor and streamline service delivery. 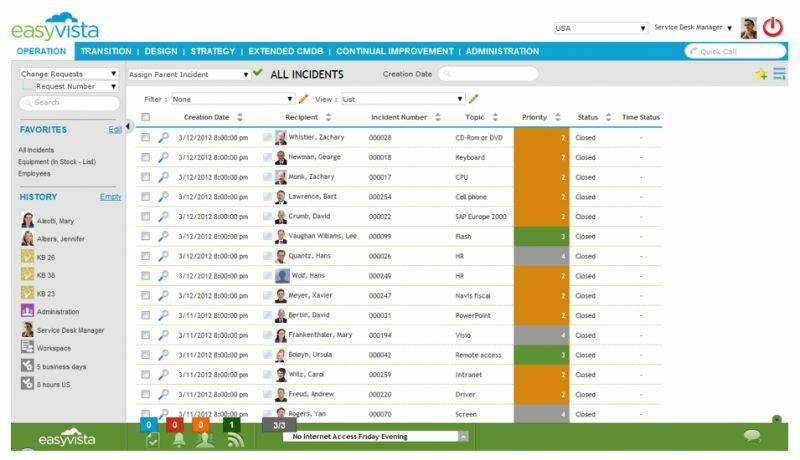 Dashboards and analytics drive information sharing and informed decisions. 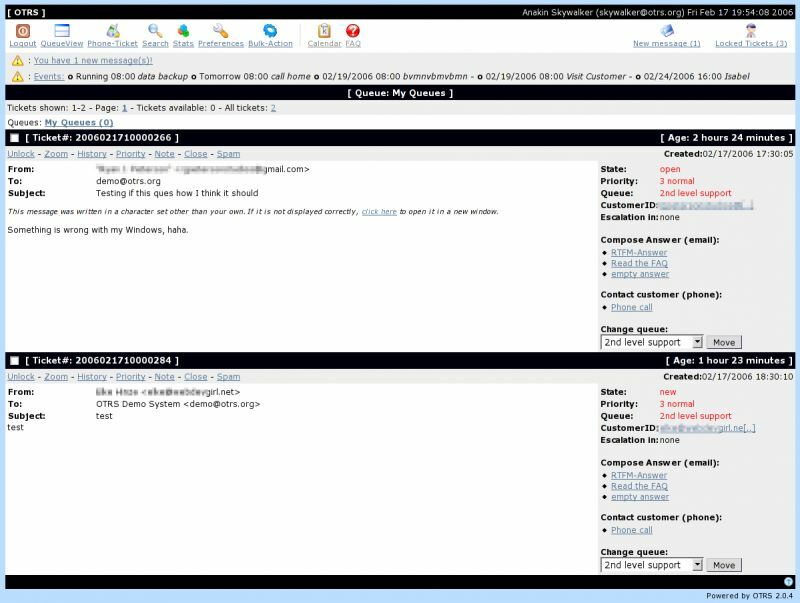 ManageEngine ServiceDesk integrates your help desk requests and assets to help you manage your IT effectively. It helps you implement ITIL best practices and troubleshoot IT service requests faster. 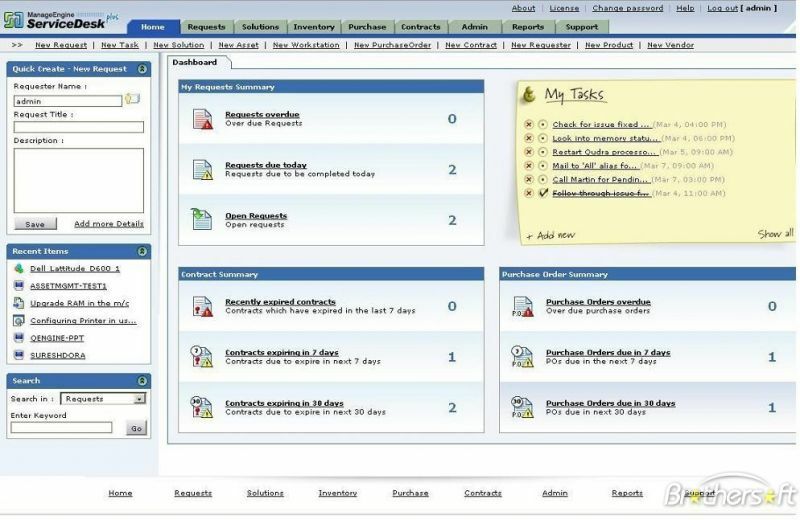 ServiceDesk Plus is a highly customizable, easy-to-implement help desk software. 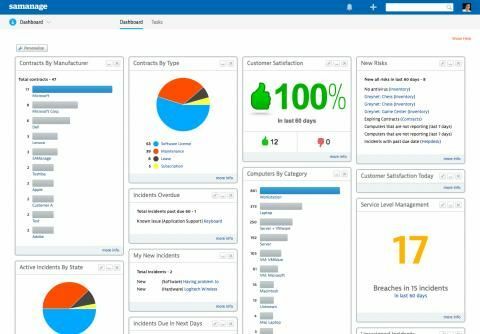 More than 10,000 IT managers worldwide use ServiceDesk Plus to manage their IT help desk and assets. ServiceDesk Plus is available in 23 different languages. EasyVista’s revolutionary suite of products radically build a new front office experience as well streamlining and automating back office IT. EasyVista is increasingly winning business from vendors who provide hard-coded, high-administration solutions. Customers now want a solution that delivers new services and a storefront that can be rapidly realized and easily administered. EasyVista decimates IT costs, facilitates increased delivery to business needs and empowers IT to transform customer interfaces and applications. Achieve a rapid and cost-effective deployment of a proven IT support solution delivered on demand. With CA Service Desk Manager On Demand, time-to-value is greatly improved via rapid implementation services that deliver a zero infrastructure deployment with built-in ITIL best practice configurations and an innovative business user self service capability. Workplace, Facebook’s enterprise collaboration and communication application, and ServiceNow announced a new chatbot to make it easier for employees to navigate a company’s help desks inside Workplace Chat. The integration can involve IT or HR help desk scenarios. A chatbot can help companies save time and money, and employees can get answers to common problems much faster. Previously, getting these kind of answers would have required navigating multiple systems, making a phone call or submitting a ticket to the appropriate help desk. This approach provides a level of convenience and immediacy. ServiceNow bought design firm Telepathy because it knows that offering enterprise-class functionality isn’t enough anymore to win over alternatives. Your applications have to look good too. Companies can’t just deliver good functionality. They have to deliver it in a way that appeals to both IT from an administrative perspective and end users from a pure design and ease of use perspective. 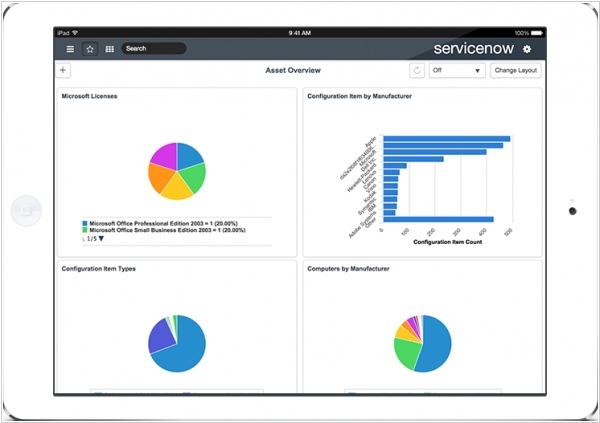 ServiceNow has purchased seven companies since 2013 prior to today’s announcement.